Loren E. Hart, M.D., 91, of Bellevue, passed away peacefully at home Thursday, May 24, 2018. Loren was born in Dover, Ohio on June 1,1926, to Loren E. Hart, D.D.S, and Addie Bondurant Hart. Loren graduated from Dover High School in 1944, and then entered the U.S. Navy, being discharged from Great Lakes Naval Hospital in November 1945. 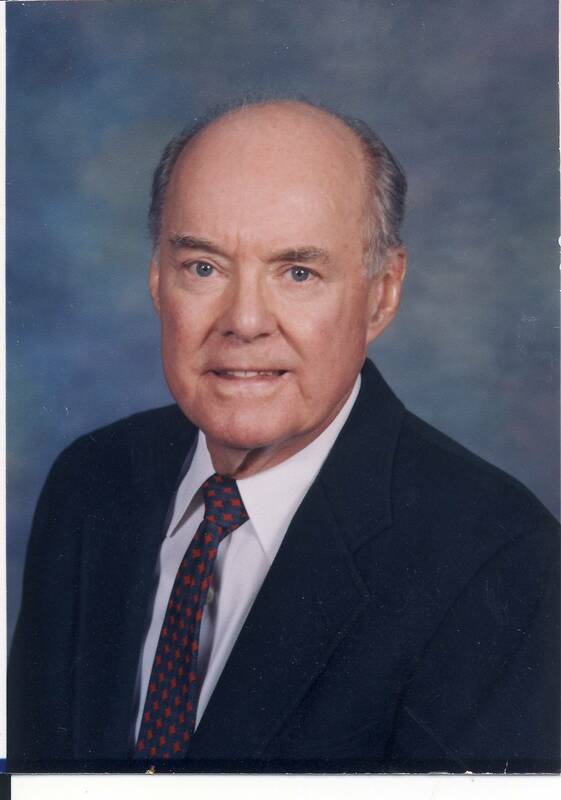 Loren graduated from Denison University in 1947, a member of Sigma Chi fraternity, and Northwestern University Medical School in 1950, a member of Nu Sigma Nu fraternity. Loren met his loving and devoted wife, Marian L. Stryker, in 1950, at Evanston Hospital when they were seniors in medical and nursing schools. They married in 1951 in Mt. Clemens, Mich.
Dr. Hart interned at Cook County Hospital, Chicago, followed by a Radiology Residency at Crile Veterans Hospital, Cleveland, Ohio. Loren entered the U.S. Army in 1956 and was discharged in 1958. While in the U.S. Army, Captain Hart was Chief of the Radiology Service at U.S. Army Hospital, Ft. Leonard Wood, Mo. They then moved to Green Bay, where he entered the practice of Radiology with Dr. Lyle Edelblute at Bellin Memorial Hospital. Soon after arriving he became associated with the newly formed Bellin School of Radiological Technology, where he taught Radiation Physics and Anatomy. Dr. Hart was a member of the A.M.A., Wisconsin Medical Society, American College of Radiology, Radiological Society of North America, Wisconsin Radiological Society, and Brown County Medical Society, where he served as secretary and president. He was Co-founder of Radiology Chartered and Computerized Services. He was on the medical staff of St. Mary’s and Bellin Hospitals, where he served as secretary and president. He was also consultant in Radiology at Oconto Falls Memorial, Kewaunee, and Oconto Hospitals, Green Bay Clinic, Beaumont Clinic, and Deckner Medical Center. Dr. Hart was past Commander and 50-year member of the Green Bay Power Squadron. A few years after retirement, Marian and Loren became Snowbirds in Sun City Center, Fla., where he was a member of the Woodcarving Club. Other hobbies included skiing, boating and fishing. Loren was a member of Union Congregational U.C.C. Church, Green Bay, and United Community Church, Sun City Center, Fla., where he served on numerous boards and committees. Loren was preceded in death by his parents Dr. Loren and Addie Hart; his sister Lera Anderson and brother-in-law Donald Anderson, M.D., Aurora, Ill.; his in-laws Dr. Oscar and Genevieve Stryker, Michigan and Arizona; and step-brothers-in-law William and wife Dorothy and John Gannon, Mecosta, Mich.
Loren is survived by his wife Marian; their sons Richard Dean Hart, teacher and fianceé Juliet Henninger, Denver, Colo.; Thomas Alan Hart, architect, and wife DeeDee, Denver, Colo.; their daughters Barbara Hart Stoll R.N. and husband Ray, of Minneapolis, Minn.; and Laura (Lori) Ellen Hart R.N.P., Minneapolis, Minn.; grandsons, John Thomas Hart and wife Yulia, Albuquerque N.M.; Ryan Ray Stoll, Bozeman, Mont. ; Colin Dean Hart, U.S. Air Force and wife Bridgette; and Graham Emerson Hart, Honolulu, Hawaii; granddaughters, Genevieve Grace and Adeline Violet Streble, Minneapolis, Minn.; and Marian Noelle Hart, Denver, Colo.; sister-in-law Joan Stryker Grubaugh, Gilbert Ariz.; cousin Velma Hoffman, Coshocton Ohio. He is also survived by many nieces, nephews and dear friends. Family and friends may visit at Union Congregational United Church of Christ, 716 S. Madison Street, Green Bay, on Friday, June 1, from 1 to 2:45 p.m. Funeral service will follow at 3 p.m. with Pastor Bridget Flad Daniels officiating. Military honors will be accorded to Dr. Hart for his service in the U.S. Army and U.S. Navy. Burial in Woodlawn Cemetery of Green Bay. Cotter Funeral Home and Crematory is assisting the family. Donations for the memorial fund may be sent to: Bellin College of Nursing or Union Congregational United Church of Christ of Green Bay. Lynn Edward Mead of Sun City Center, Florida, formerly of Clarkston, Michigan passed away Wednesday, May 23, 2018, at the age of 76. Husband of Phyllis for 51 years. Father to Rochelle (Mark) Osborne. Grandfather to Kaili and Olen. Lynn was born in Ypsilanti, Michigan in 1941. He grew up in Ypsilanti, then went on to graduate from Northeastern University and Wayne State University with numerous degrees in education. He was a U.S. Army retiree of 37 years. He was a chef by trade, but always a teacher at heart. He was an advocate for children, soccer coach, mentor, business man, off-duty police officer, restaurant owner, caterer and dog lover. Lynn was preceded in death by his parents Franklin and Kathryn and brother Michael. He is survived by many friends, family members and grand-dogs. In lieu of flowers please donate to Lifepath Hospice of Ruskin, 3725 Upper Creek Dr., Ruskin, FL 33570 or the USF Department of Neurology for Research of Parkinson’s Disease. Address: 12901 Bruce B. Downs Blvd., MDC 55, Tampa, FL 33612. Their number is 813-974-3541. Graveside service will take place at Great Lakes National Cemetery in Holly, Michigan on June 8, 2018, at 9:30 a.m. Arrangements entrusted to the National Cremation & Burial Society, Ruskin, Fla. Please visit www.nationalcremation.com/location/ruskin to leave a special condolence. Loys Delona Kever Reynolds, 93, passed away on May 22, 2018 in Sun City Center, Fla. She was born in Wolf Bayou, Ark. in 1924 to Aubrey Veldon Kever and Belle Dill Kever. She was preceded in death by her parents; her husband Robert G. Reynolds; her daughter Elizabeth Ann Reynolds Ronning; brother Jesse Colin Kever; and a sister Elma Kever Black. She is survived by her sister Wanda Kever Sparr, brother Carl Veldon Kever, son Robert G. Reynolds, six grandchildren, and nine great-grandchildren. Private burial at Arlington National Cemetery. Additional information may be found at www.suncitycenterfuneralhome.com.